Speaker Geoff Regan says he does not have the authority to make rulings on how political parties eject or readmit caucus members because his authority is limited to the inner workings of the House of Commons. Regan's ruling comes two days after former Liberal cabinet minister Jane Philpott stood up in the House and said that both she and the former justice minister, Jody Wilson-Raybould, were ejected from their former party "unilaterally" and without "due process." "Expulsion should not be (Prime Minister Justin Trudeau's) decision to take unilaterally, however the decision had been already made," the MP for Markham Stouffville said. The former health minister said Trudeau's decision to toss both her and Wilson-Raybould out of the party took place without a vote of the Liberal caucus itself. Philpott asked Regan to make a ruling on which rules apply to caucus expulsions. Today, Regan issued a ruling that said "the authority of the Speaker is limited to the internal affairs of the House, its own proceedings; it does not extend to caucus matters." "While caucuses may have some extraneous relationship to the membership of the House, it remains just that; there is nothing to suggest that its proceedings constitute or relate to a proceeding of the House," Regan said. "This leaves caucuses alone with the authority to govern their internal operations." 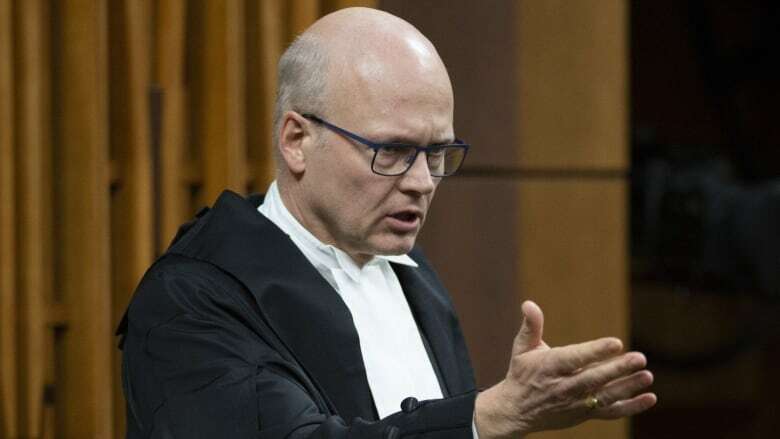 Regan also said that the Liberals previously informed him that the Parliament of Canada Act, which lays out some of the expulsion rules, would not apply to the party during the 42 session of Parliament, making the point a moot one from the outset. For this reason, Regan said, he was "unable to conclude that the member for Markham Stouffville has been obstructed in the fulfillment of her parliamentary functions." Philpott and Wilson-Raybould were ejected from the Liberal caucus on April 2 after two months of Liberal infighting over the SNC-Lavalin affair. Last month, Wilson-Raybould appeared before the Commons justice committee to answer questions about a Globe and Mail report citing unnamed sources that alleged she was pushed by senior officials in the Trudeau government to allow Quebec engineering firm SNC-Lavalin to avoid criminal prosecution on fraud and bribery charges by meeting a number of conditions laid out in a remediation agreement. Once before the committee, Wilson-Raybould told MPs she had been improperly pressured by 11 officials in the Prime Minister's Office to reverse a decision that denied SNC-Lavalin access to such an agreement. Wilson-Raybould said Trudeau's decision to move her out of her role as justice minister and attorney general happened because she was unwilling to give the Quebec engineering firm the deal — a charge Trudeau has denied. Trudeau also has denied applying inappropriate pressure to Wilson-Raybould — arguing that he let her make the final decision but admitting he tried to convince her to reconsider the implications of a conviction. Should a court convict SNC-Lavalin, the company would be banned for 10 years from bidding on government contracts, which could put some of its 9,000 jobs at risk. Wilson-Raybould ultimately resigned from cabinet and was later followed by Philpott, who said she had lost confidence in the Trudeau cabinet and could no longer sit at the table. When Wilson-Raybould revealed she made a secret audio recording of a conversation about the issue she had with Clerk of the Privy Council Michael Wernick, several members of the Liberal caucus said they saw the secret recording as a violation of trust. In expelling the two MPs from the Liberal team, Trudeau referenced that loss of trust. "The trust that previously existed between these two individuals and our team has been broken, whether it's taping conversations without consent, or repeatedly expressing a lack of confidence in our government or me personally as leader," he said. "It's become clear that Ms. Wilson-Raybould and Dr. Philpott can no longer remain part of our Liberal team."